Learn about what a national monument is and the truth behind some common misconceptions. 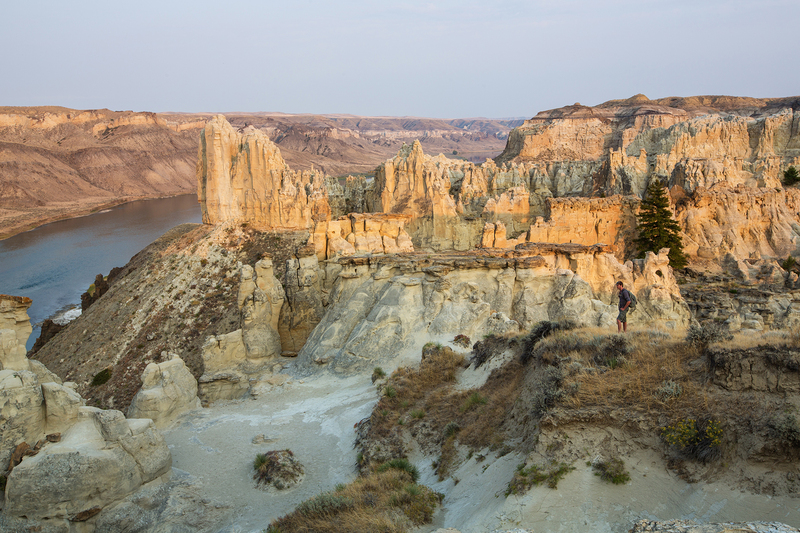 We are a 501(c)(3) non-profit established in 2001 to support the Upper Missouri River Breaks National Monument – where the wild and scenic Missouri River flows through nearly half-a-million acres of central Montana prairies and badlands. Our mission is to protect and preserve the Monument by educating the public, advocating for responsible access and environmentally responsible uses, and to support groups and agencies that protect and restore the Monument. FMB relies on donations from people like you to complete our mission. Whether it is planting cottonwood trees, hiring seasonal stewards, organizing letter writing campaigns, or developing STEM education, your donations provide the support needed to advance our efforts. Click below to make a donation to FMB. The work that the Friends of the Missouri Breaks Monument (FMB) does wouldn’t be possible without the support of our members and volunteers. Whether it is planting cottonwood trees along the Missouri River, creating STEM Education programs, or advocating for the proper management of the monument, we couldn’t do it without your support. Learn more about different ways you can support FMB. Do you have questions or comments about what we are doing?